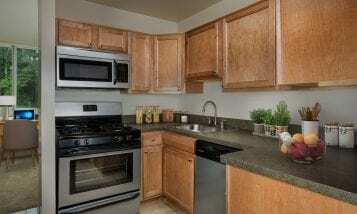 Your College Park apartment will be the center of your career growth this summer. There are a surprising number of things you can do to learn new skills, build relationships and create a reputation for yourself without leaving your ROSS College Park apartment. Since the online world has become a realm of its own, going without a summer internship doesn’t mean you’re disconnected from the working world. Give the following tips a try to make the most of your summer. Popular wisdom would say that portfolios are only for art students. Although they’re required for art students, they can benefit the rest of us, too! For some industries, this isn’t a stretch. If you’re an architecture major who wants to design buildings or a marketing major who’s into user interfaces, you’ve probably already got some good visual work under your belt. But, what if you want to work in…supply chain? Or write novels? Or perform medical research? Create a website with an image or icon representing each of your major projects. Within each project, upload relevant documents, summaries and positive feedback you received on it! Ever wondered what to do with that ominous “additional documents” space? Fill it with these important examples of your talent. Most career advisors will tell you that if you really want a job, you should write a thoughtful, customized cover letter. But, what they don’t get, is that no cover letter can increase your chance of getting a job by such a large margin that you don’t still need to apply for, like, 20 other jobs. And no one can write 20 cover letters from scratch without losing their mind—at least a little. Instead of sending duplicates to every office or attempting the customization strategy, create a template or two that are suited to the kind of job you want. Write one for a hands-on job and one for a behind-the-scenes office job. This strategy adheres perfectly to the 80/20 effort rule. Just because you can network from your College Park apartment doesn’t mean that’s the only way you should network. Ask a local LinkedIn connection if they’d like to meet for coffee and talk about your industry. Attend summer career fairs and practice your elevator speech. Research ways to use your skills in a volunteer setting. Make your College Park apartment the home base of your career-building mission this summer. It’s an easy task when you use the awesome advice above. 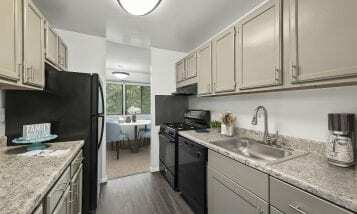 Take a tour of a Seven Springs or Charlestowne North College Park apartment this week and discover all the amenities we’ve built in to make your school and work life a breeze.